The company has stopped selling both the Google Pixel 2 and Google Pixel 2 XL on its official website. The Pixel 2 and Pixel 2 XL are little over a year and a half old, so it may be the company is making way for its Google Pixel 3 Lite that is rumored to sport similar specs to the Pixel 2 range but at a lower price than the Pixel 3. It may be that Google sees the Pixel 2 and 2 XL as competing devices for the upcoming mid-range Pixel 3. This comes a few days after Google's SVP, Hiroshi Lockheimer, teased that he is using an as yet unreleased phone. That's unlikely to be the Pixel 4 this early in the development process, so many have speculated it's the mid-range Pixel 3 model. Rumors have suggested it will either be called the Pixel 3 Lite or Pixel 3A. 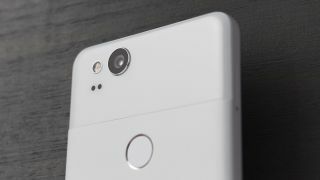 It's expected to have the same camera as the Pixel 3, but will likely opt for a less powerful chipset than the flagship in the form of the Qualcomm Snapdragon 670. Other sources suggest it will cost somewhere between $400-$500 (roughly £315-£390, AU$550-AU$690). Google pulling the Pixel 2 range from its online store doesn't mean you can't still buy them from third-party retailers. Wherever you live you're sure to be able to find the two phones on sale from other sources, but those wanting to buy directly from Google are now out of luck.